Congratulations to Ortonandon who were recently shortlisted for a Collaboration Award by Creative Edinburgh. Follow the link below to see a clip of Family Snap performed in An Talla Solais at the opening night of Over the Culture Culture in September 2014. Is this Scotland's best Advent Calendar? We just had to put this photograph on our Newsflash page, firstly because it is simply brilliant and secondly to highlight Ullapool's hidden creative talent. All the plaudits go to Robbie and Katherine for making this wonderful turkey advent calendar stuffed full of treats. If this inspires you to get creative this Christmas then feel free to send photo's of your festive masterpieces to sara@antallasolais.org. 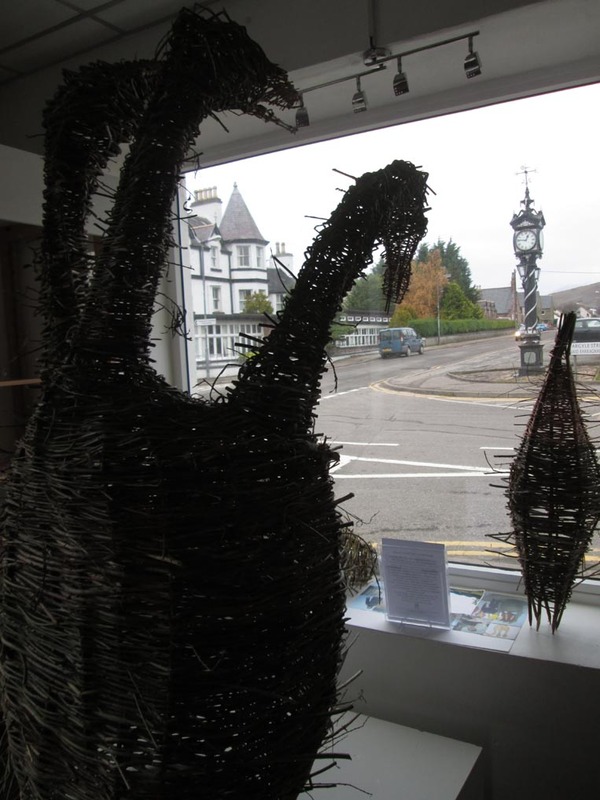 Some of Alex Stevenson's (artist in residence at ATS) Willow creatures are currently on display in 'Westering Home'. Have a peek through the window at the three headed swan beast - and the boards head which Alex wore to Britain's remotest location. To find out more about Alex and his work click on the link to his Facebook page on our homepage. A big thank you to Ken McNaughton for allowing us to use 'Westering Home' as a display space this winter. EARTH, FINS & FIRE LAUNCH POSTPONED! The Earth Fins and Fire Launch due to take place on Tuesday 29th October at 1.20pm has been postponed until FRIDAY 8TH NOVEMBER AT 1.20PM. 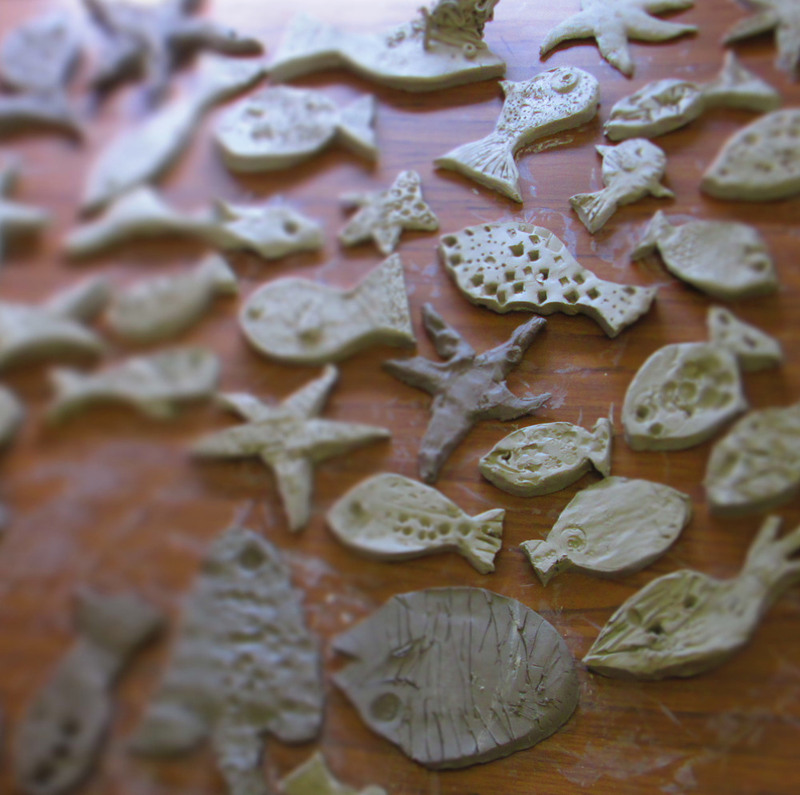 We apologise for the delay - caused by the bad weather over the weekend - but hope to see you on Friday the 8th of November at 1.20pm for the unveiling of the stunning shoal of ceramic fish created during the Earth Fins and Fire project this summer. Everyone is welcome - fingers crossed for some dry weather! Loopallu Golden Coin Treasure Hunt Winners! The crew of the An Talla Solais pirART Tent would like to thank everyone who came along and took part in our activities, with special thanks to all those intrepid treasure hunters who made the search for the golden and bronze coins such fun - we had no idea how successful it would be! Here are the proud winners of the Golden Coins with their families, each winner receiving a Loopallu T-shirt and CD - Well done! If anyone would like to submit work to the RSA Open Exhibition 2013 we have the necessary Entry Forms and information on Regulations. The Royal Scottish Academy is on the mound in Edinburgh and a great place to get your work noticed. Drop by to pick the forms up or find out more, we are open from 10 am untill 4 pm everyday. PirART fun at the Summer Isles Festival! A great time was had by all at the Summer Isles Festival last Saturday - the art activities organised by An Talla Solais and run by Lesley Strachan had a super response - as can be see by young Sandy making his clay coin for the Loopallu treasure hunt! Remember to check our Events and Workshops page for more exciting pirART activities during the run up to Loopallu! An exhibition of theatrical costumes and characters are now on display at An Talla Solais. 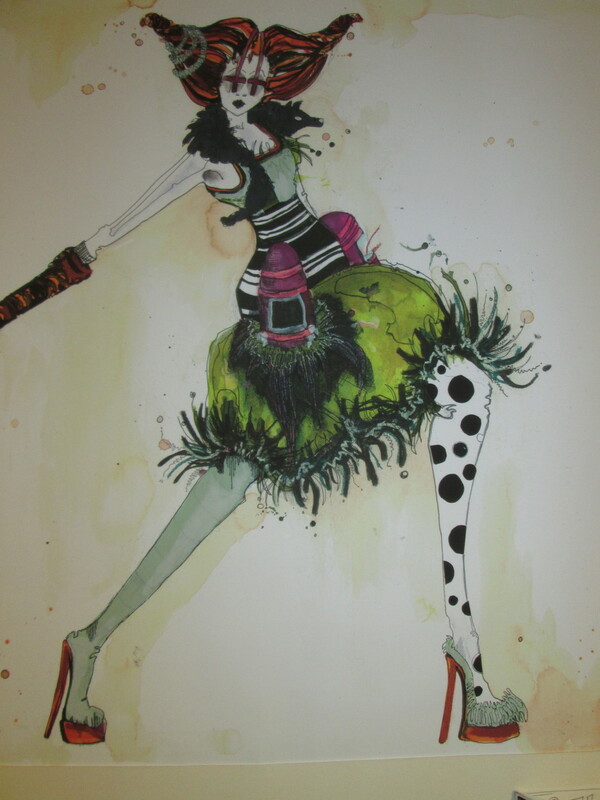 Each vibrant, detailed piece brings to life a character, from blue beard the pirate to a soft willful squirrel. Sketch books, photographs and set designs accompany the costumes - helping to reveal the creative process and imagination which goes into each extraordinary creation. A flock of birds has just landed in An Talla Solais! Drop in to An Talla Solais to see Chorus the community art project organised by the Macphail Centre open 10am to 4pm from 22/07/13 to 30/07/13. 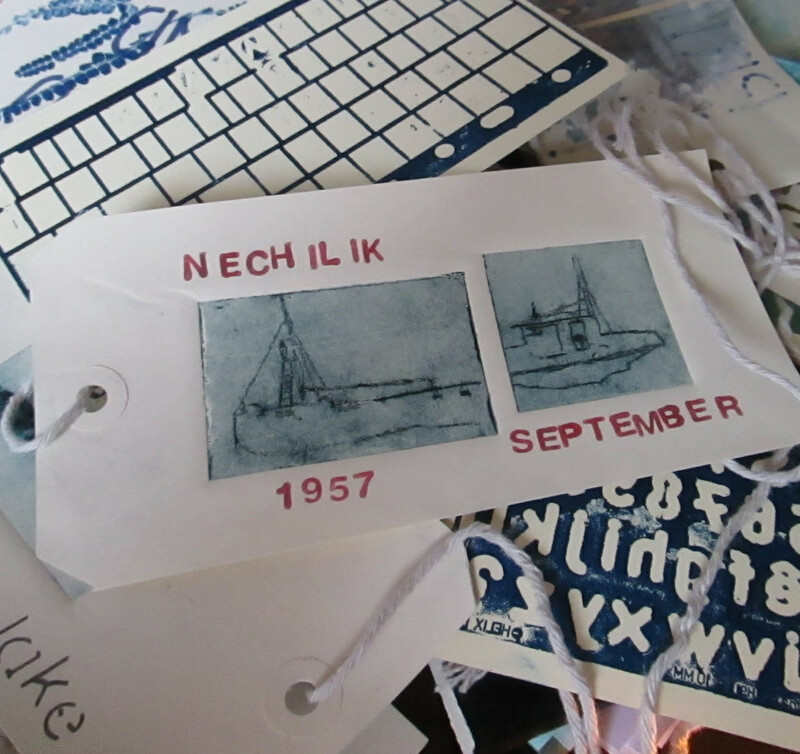 Artist Julia Barton will come to Ullapool this autumn to start a project on sea litter. She will survey and catalogue the sea litter on our shores, before working with the local schools to develop the first stage of the project. She has made an application to Creative Scotland and aims to raise £600 matchfunding through Crowdfunder. Sponsors of her project will receive original artworks so this is a great way to support an innovative project and acquire something beautiful to hang on your wall! Skiff week couldn't have dawned more beautifully! 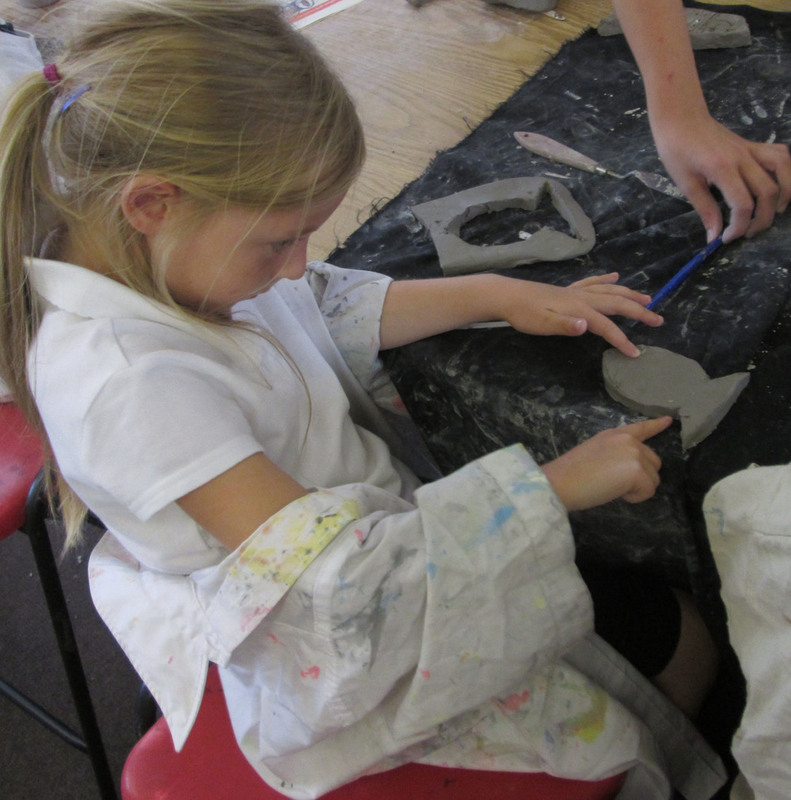 ATS is looking forward lots to seeing you at our drop-in art workshops on the pier this week (come release your tension by doing some raku firing, or calm your spirits by getting absorbed in some printmaking...). 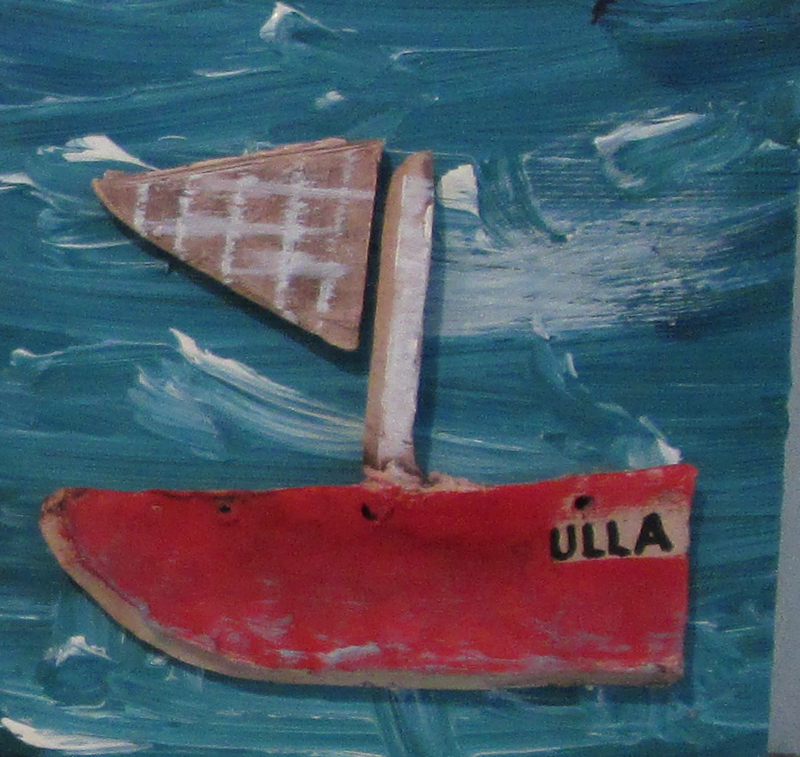 And back at base we have dozens of tiny boats & co to gaze at in our Voyage exhibition. The Voyage fundraising exhibition is almost ready to be unveiled. Please join us on Friday night (21st June) from 6-8pm for the silent auction's kick-off, and for the preview of Andrew Mackenzie's beautiful paintings in Approaching the Verge, this summer's big solo exhibition. Look what got washed up on the shore this morning! Members have been returning their little Voyage squares to us and the packaging of some has been almost too good to open. But open them we did and there's a growing collection of miniature works of art in the An Talla Solais office. The squares will be sold by silent auction over the weekend of the 22nd and 23rd June. As I'm sure you know, An Talla Solais doesn't receive any core funding so this is a crucial fundraiser for us. 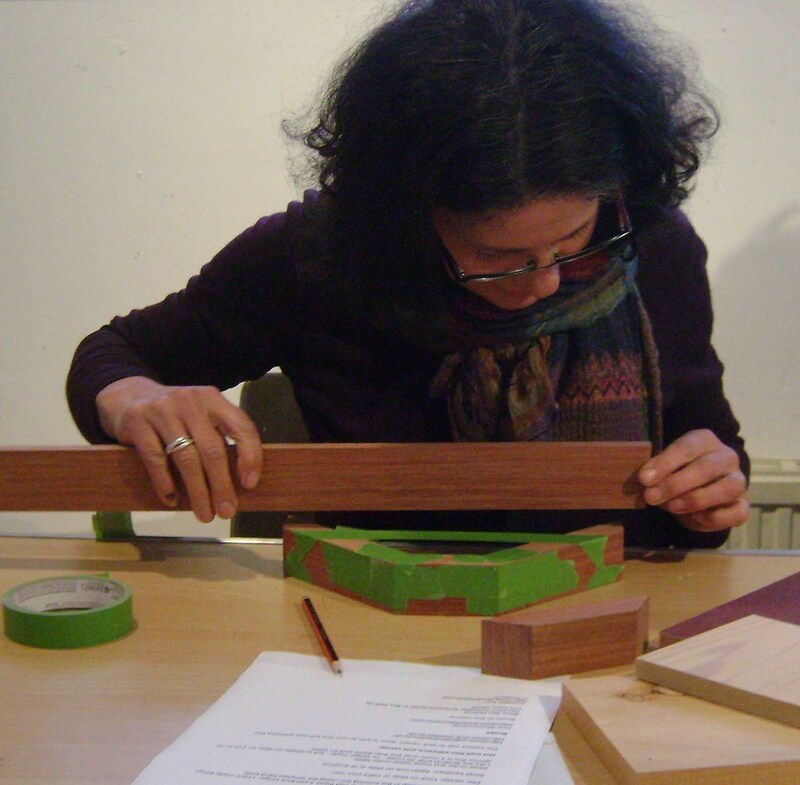 Frances Fogg will lead a workshop this Saturday from 2pm-4pm at An Talla Solais to help people make their squares. All ages welcome! The sound of great northern divers, the smell of the spice market in Aleppo or of the rain before it falls - these are some of the many essences of people's travels that they have distilled in ATS's Travelling Light workshops. The project is now over and the many boxes, luggage labels, bags etc made during its activities and exhibited in the gallery are now here at ATS for their makers to collect. A big thank you to all of you who've taken part - we wish you well in your new sailing / carpentry / travelling careers... send us a postcard!